The team made big achievement for project milestones during the first 6 months of 2018 and other focusing projects also are moving positively. Congratulate to Ms. 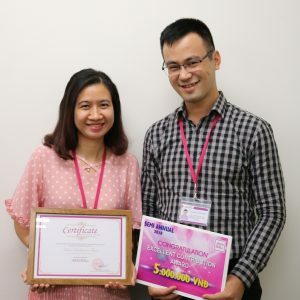 Le Thi Minh Nguyet and Mr. Nguyen Chung Kien for achieving the Excellent Contribution Award. In the first 6 months of 2018, Ms. Hong Cam improved the procedure for firefighting and continued to check this activity strongly every month. She has not only focused on managing tasks but also developing her team to always ensure safety for customers. The success of Leasing Planning Team is achieved with the efforts from all team members. Congratulate to Leasing Planning Team for achieving the Excellent Contribution Award. After conducting renovation at AEON MALL Binh Duong Canary, the team achieves great results. 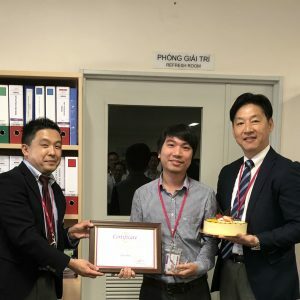 Congratulate to Leasing Replacement Team with the Excellent Contribution Award for the efforts to contribute for the success of AEON MALL Binh Duong’s renovation. 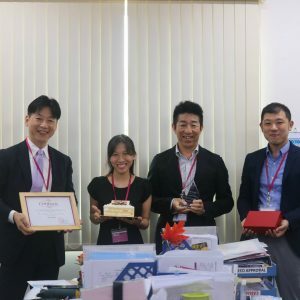 To commend excellent achievement from the viewpoint of “Customer First”, “Excellent Performance”, “Renovation” and “Innovation”, AEONMALL Vietnam granted the Semi-Annual Award to 3 teams and 2 individuals in the first half of 2018. Started working at AEON MALL Vietnam since July 2015. So far, it’s been nearly three years devoting himself to AEON MALL Vietnam as well as the Facilities & Security division of AEON MALL Long Bien. 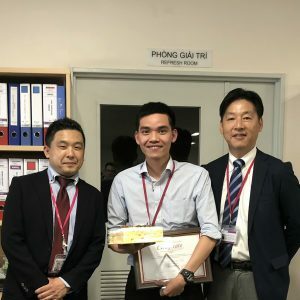 Until now, Mr. Dinh Huy’s still in love with his job and willing to be attached to the work in the future. 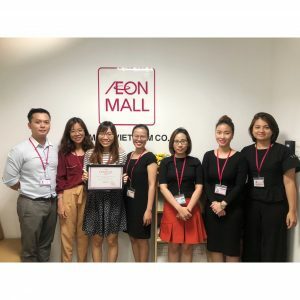 Joining AEON MALL in 2014 as a member of Development department with the target to find potential area to develop shopping malls, Mr. Tuan is also one of the key members of AEON MALL Long Bien project from the beginning. People may look at her and have the thought that she is a very graceful woman but actually, she is a person with strong personality and quite tough. 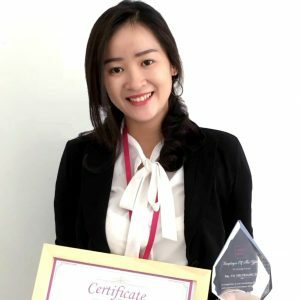 She is Ms. Hoang Ha – a Legal Executive at AEON MALL Vietnam. 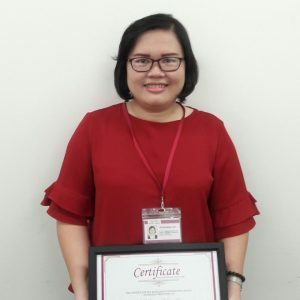 First started as a training officer of Store Support Team, Ms. Diem Huong has already have chances to attend and give trainings at all 4 AEON MALLs in Vietnam. 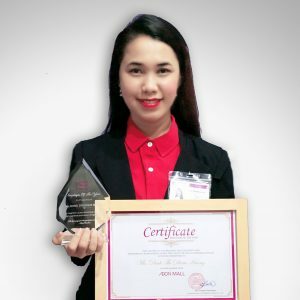 Recently, with the outstanding performance, she was promoted to Admin and Training Executive in AEON MALL Binh Tan. 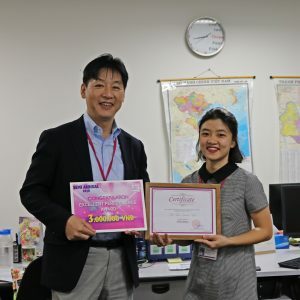 Being the youngest to receive the award 2017 Employee of the year, Ms. Hong Nhung has just joined AEONMALL Vietnam since June 2016. 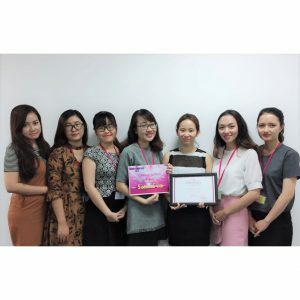 Despite her start at a young age, Nhung has showed her great enthusiasm and passion for working which is also one of her advantage to earn the success in the career path at AEONMALL Vietnam.